NASHVILLE, Tenn. Matthew Walker Comprehensive Health Center (Matthew Walker) has served Middle Tennessee for nearly 50 years. It was established in 1968, and has since served as a private, non-profit healthcare agency for just under 18,000 patients every year. Matthew Walker’s Chief Executive Officer, Katina Beard, described the organization as a “safety net” for individuals and families without health insurance, inadequate insurance, or with high deductibles. “We provide medical, dental, laboratory and radiology services,” she said. Matthew Walker’s primary facility is in Nashville, and it has satellite locations in Clarksville and Smyrna. Each location provides multiple services to its community, keeping in line with a simple mission: to provide quality healthcare services and health education, and to promote wellness. Keeping with that mission, the organization also works with the C.E. McGruder Family Resource Center as a freestanding facility providing various social services for parents, youth and seniors. More than 20 collaborating partnerships offer free programs like after-school and summer enrichment programs, GED and computer classes for adults, parenting classes, assistance with food stamp applications, health insurance enrollment assistance, a community garden and more. Beard called the facility “a social services hub.” All of it, she said, falls under the wellness spectrum for individuals and their communities. Beard has been with Matthew Walker for roughly 18 years. She began with the organization as a temp in its administration office before going to graduate school at Meharry Medical College for two years. Upon graduation and receipt of her MSPH from the public health program, she returned and held several positions throughout the organization before becoming the CEO. On Oct. 29, nearly 100 community and healthcare leaders gathered at Saint Thomas Midtown to celebrate the accomplishments of the Safety Net Consortium of Middle Tennessee and Project Access Nashville Specialty Care. The breakfast celebration was hosted by the Nashville Academy of Medicine and Saint Thomas Health, a member of Ascension, the nation’s largest Catholic and non-profit health system. The event was co-chaired by Robin Williams, MD, Breast Surgeon at Saint Thomas Midtown, and Ralph Atkinson, MD, President of Nephrology Associates. Clifton Meador, MD; Stephanie Bailey, MD; and Michael Zanolli, MD each provided keynote addresses to the audience to discuss the history, continued need, and ongoing support for these two programs. 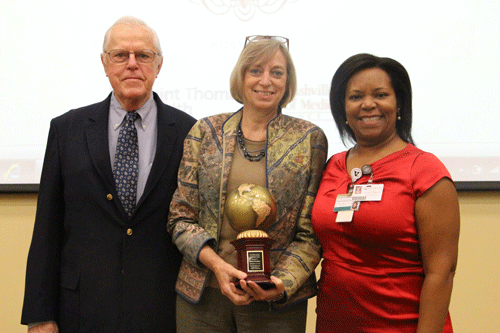 The 2015 Dr. Clifton Meador Community Health Leadership Award was presented to Carol Westlake. The award is given to honor an individual in the community whose leadership and accomplishments have contributed significantly to improving access to quality health care for low-income, uninsured persons in Nashville and surrounding areas. Westlake has served as the Board President for the Safety Net Consortium of Middle Tennessee since 2008. For seven years, she has tirelessly led the effort through the consortium to improve the health and health care of low-income, uninsured residents of Nashville and surrounding areas. 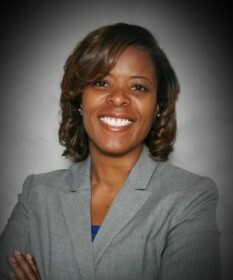 She is a nationally recognized leader in the disability community and a lifelong advocate for the disadvantaged. Westlake is the founding executive director of the Tennessee Disability Coalition where she has served for 25 years. The Coalition’s work is grounded in collaborative efforts to improve policy and opportunities for individuals with disabilities and their families. Westlake has been a long time advocate of both the Safety Net Consortium of Middle Tennessee and Project Access Nashville. The Safety Net Consortium of Middle Tennessee has been operating for 15 years to improve the health and health care of low income, uninsured residents of Nashville, Davidson County and surrounding areas. The purpose of the Consortium is to provide access to appropriate level of care for the uninsured population of Nashville through the establishment of a system of information and care coordination. It does that by bringing together clinics, providers, academicians, and consumer and community leaders to integrate knowledge and skills to support an effective system of care. Project Access Nashville Specialty Care, a program that is operated by the Nashville Academy of Medicine, celebrated 10 years of service to the community. Project Access Nashville Specialty Care was launched in 2005 under the name Bridges to Care Plus, as a partnership between the Safety Net Consortium of Middle Tennessee and the Nashville Academy of Medicine to create a system of specialty and hospital care for the uninsured. Davidson County residents who are below 200 percent of the Federal Poverty Level and who have no access to insurance are eligible for the program. Over the past 10 years, more than 1,100 specialist physicians have donated their time to see patients. Six hospitals have signed agreements to also serve these patients through the Project Access Nashville Specialty Care program when additional services are needed, such as access to an operating room. The impact of these programs has been substantial. More than $32.8 million dollars has been donated in specialty care alone by individual physicians and hospitals since the inception of Project Access Nashville Specialty Care. 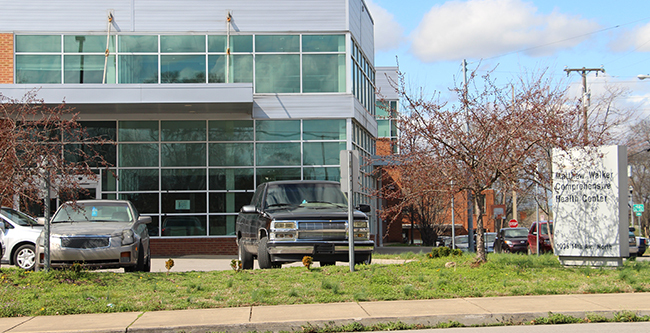 More than 62,150 patients have been seen through the Project Access Nashville Primary Care, which is managed by the Metro Nashville Public Health Department, and more than 24,000 additional patient visits have occurred for specialty care needs. Project Access Nashville has also filled more than 208,450 prescriptions through two pharmacies at the Lentz Public Health Center and Metro General Hospital. Dr. Michael Zanolli, a dermatologist with Heritage Medical Associates, has volunteered through the Project Access Nashville program for the past 10 years. He stated, “A small effort by each doctor can result in large community impact as we have seen over the past decade. This program allows us as physicians to be seen as leaders in local solutions to healthcare access.” Learn how to get involved at www.ProjectAccessNashville.com. Founded in 1821, the Nashville Academy of Medicine is Tennessee’s oldest county medical society. It is dedicated to supporting physicians who provide the highest quality medical care and are pledged to uphold the highest standards of conduct. Academy members represent 70 fields of practice, all local hospital medical staffs, the faculties and administration of Nashville’s two medical schools, local and state health departments and boards, and numerous health and paramedical agencies and organizations. Since its founding, the Academy has produced eight presidents of the American Medical Association and 447 presidents of the Tennessee Medical Association. For more information, visit www.nashvillemedicine.org. Ascension (www.ascension.org) is a faith-based healthcare organization dedicated to transformation through innovation across the continuum of care. As the largest non-profit health system in the U.S. and the world’s largest Catholic health system, Ascension is committed to delivering personalized, compassionate care to all persons with special attention to those who are struggling the most. In FY2014, Ascension provided $1.8 billion in care of persons living in poverty and other community benefit programs. More than 150,000 associates and 35,000 affiliated providers serve in 1,900 sites of care – including 131 hospitals and more than 30 senior care facilities – in 24 states and the District of Columbia. In addition to healthcare delivery, Ascension subsidiaries provide a variety of services and solutions including physician practice management, venture capital investing, treasury management, biomedical engineering, clinical care management, information services, risk management, and contracting through Ascension’s own group purchasing organization. Founded in 1999, the Alliance bridges the institutions of Meharry Medical College and Vanderbilt University. Its mission is to enrich learning and advance clinical research by developing and supporting mutually beneficial partnerships between Meharry Medical College, Vanderbilt University and the communities they serve.